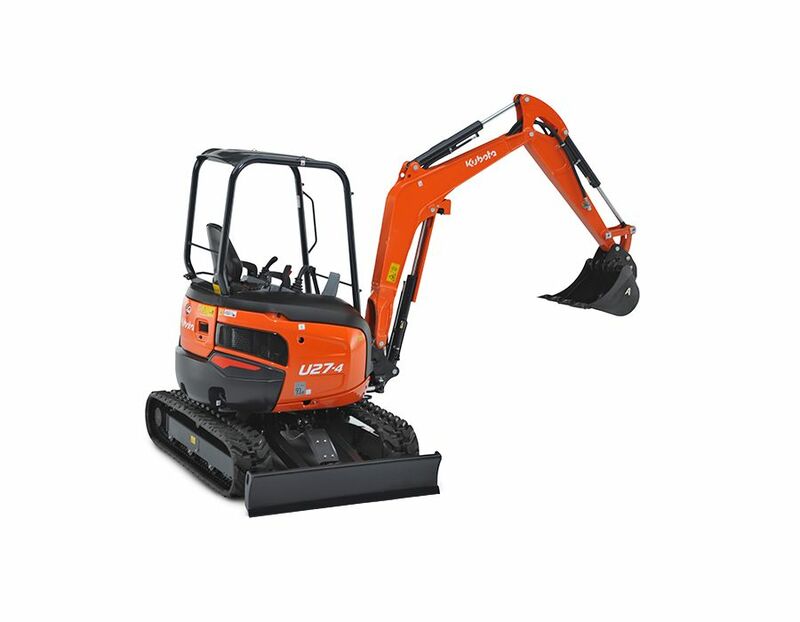 The U27-4 Tight Tail Swing Compact Excavator is designed for challenging jobs that are not possible with larger excavators. 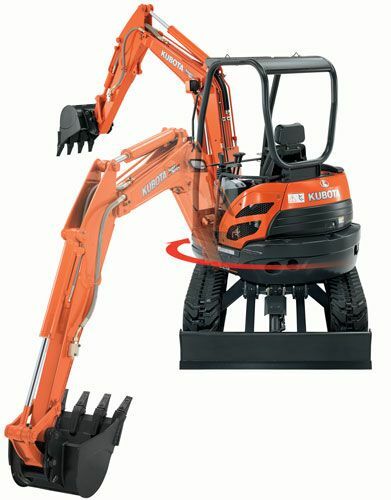 Powerful breakout force, compact design and precision control delivers productive performance in tight working conditions. Proportional Control of AUX Circuit - The thumb-operated switch on the right joystick allows easy proportional flow control of the AUX circuit. 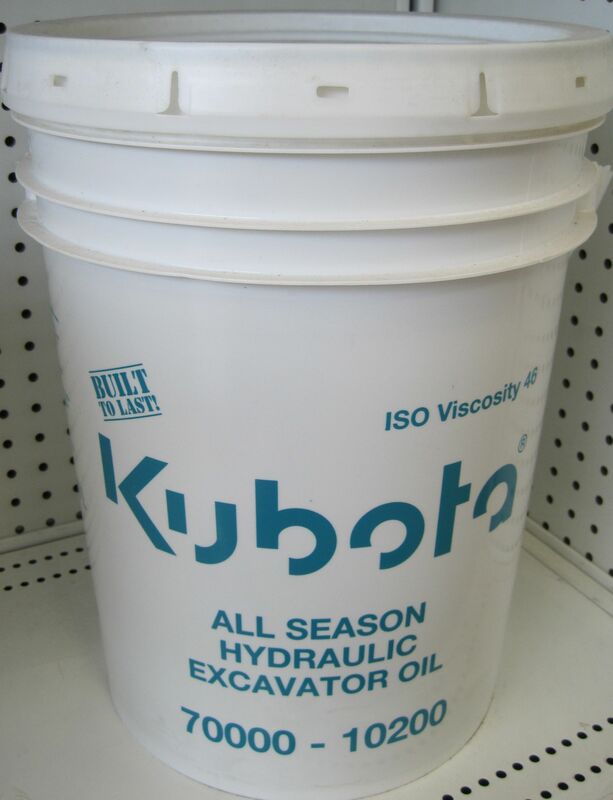 And, with the small dial on top of the meter panel, the oil flow is conveniently adjustable up to 12.7GPM. Auto-shift - The U27-4 auto-shift automatically shifts travel speed from high to low, depending on traction and terrain, allowing smoother operation when dozing and turing. Tight Tail Swing - The U27-4's tight tail swing proves to be highly versatile when operating in confined conditions. There is less chance for damage to the machine or surroundings due to the Tight Tail swing design. Front Meter Panel - For better visibility and accessibility, the meter panel is positioned to the right front corner of the operator station. 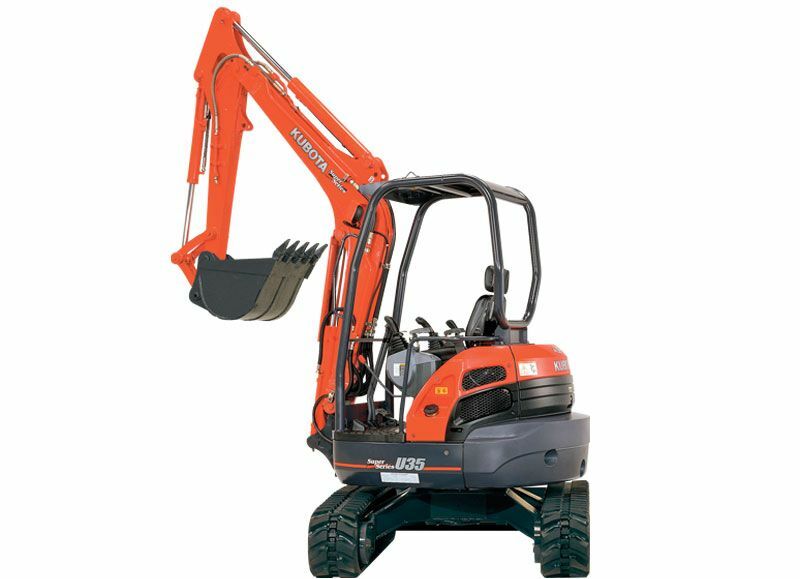 With easier access, simpler settings, easy-toread indicators and alerts, you'll always be aware of the excavator's functioning status. Large Operator’s Station - With large and comfortable operator's station, the U27-4 offers an extra level of comfort and convenience that operators are sure to appreciate during long jobs. Auxiliary diverter valve - With the diverter valve on the auxiliary hydraulic circuit, the hydraulic oil can be switched to a second attachment, without having to disconnect the main attachment. 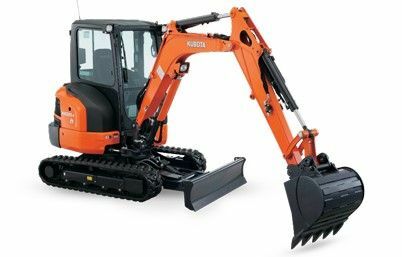 The Kubota U27-4 Tight Tail Swing Compact Excavator is available at Kooy Brothers Equipment Ltd. located at 1919 Wilson Avenue in Toronto, Ontario.